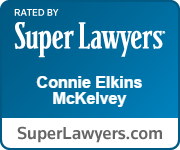 Connie McKelvey is a native Oregonian whose practice areas include medical malpractice, dental malpractice, representation before health professional licensing boards, professional liability, health law, and HIPAA policy and security. Connie has been regularly endorsed as one of the top lawyers nationwide by the most respected peer review organizations in the nation including Martindale-Hubbell, the Best Lawyers in America, Who’s Who in American Law and Superlawyers. Connie has extensive experience representing medical professionals in state and federal courts in Oregon and Washington. She has tried to defense verdict numerous cases in counties throughout Oregon. She is frequently retained to represent healthcare providers in connection with complex legal matters involving allegations of sexual misconduct, boundary violations or potential criminal conduct. In those cases, she often works closely with criminal defense attorneys to secure the best possible outcome for her clients. Connie is perhaps best known for her representation of licensed health professionals before licensing boards in Oregon and Washington. Connie’s unique expertise in health law combined with her extensive litigation experience is invaluable to the many health care facilities and providers she represents. This broad expertise includes cutting edge legal experience with HIPAA compliance, health care contracting, medical staff issues and health care compliance. 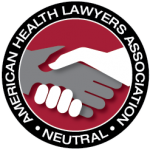 She has a special interest in alternative dispute resolution of professional liability claims and is certified by the American Health Lawyers Association as Dispute Resolution Neutral which gives her the opportunity to resolve disputes involving health care providers, including disagreements between hospitals and clinics, disputes between providers, and pre-litigation resolution of claims by patients against health care providers. Connie has authored or contributed to numerous health law publications including the Health Professional Licensing & Enforcement Chapter of the Oregon Administrative Law publication and the Medical Staff & Communicable Disease Chapters of the Oregon Health Law Manual. She is also a frequent speaker to professional groups regarding professional liability issues. When she’s not practicing law, Connie enjoys spending time with her family and friends including her best friend Gracie, a labradoodle.